Hewlett-Packard has killed off its much ballyhooed Windows 7 tablet computer, says a source who’s been briefed on the matter. The device was first unveiled by Microsoft CEO Steve Ballmer at CES 2010 in January and was supposed to hit the market in mid 2010. But our source tells us that HP is not satisfied with Windows 7 as a tablet operating system and has terminated the project (something CrunchGear mentioned months ago). 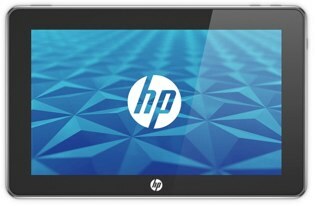 HP may also be abandoning Intel-based hardware for its slate lineup simply because it’s too power hungry. That would also rule out Windows 7 as an operating system. So what will HP use as an operating system? Look for Google-powered devices, which have already been announced. And HP really does seem determined to make a go of the Palm WebOS. They said how important it was to them yesterday, and they will likely experiment with porting it to a slate-type device. Will WebOS emerge as a successful operating system for tablet devices? That seems very unlikely given the dominance of the closed Apple OS and the likely success of the open Android and Chrome operating systems from Google. To get traction from third party developers with WebOS HP will need to sell a lot of units. And it’s not clear what they’d gain from all that effort, anyway. HP knows how to build and sell hardware, not operating systems.